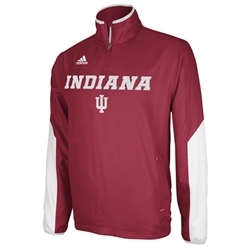 ADIDAS 1/4 Zip Sideline Hot Jacket in crimson 100% woven polyester fabric with contrast panels inset along the arms. Woven INDIANA and IU logos along with an embroidered three stripe ADIDAS logo. 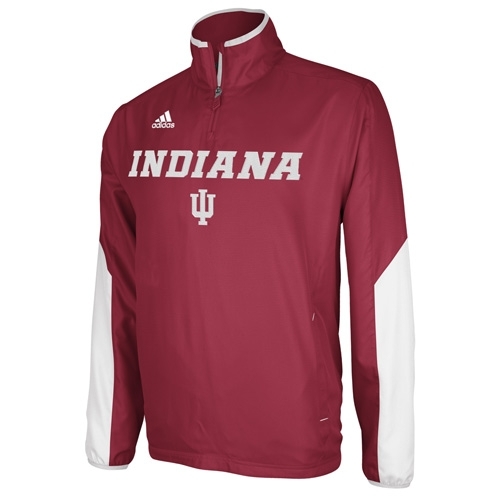 Side pockets and back air vents makes this a perfect jacket for cheering on your Hoosiers! Includes back neck taping, printed inside labels & ID tag.